Gone are the days when you could gain Google rankings only with keyword stuffing. Article spamming would have helped you to gain a lot of audiences but not now. Now, you need to work hard or else you can get penalized if any spamming is found on your website. Link building still plays an important role in elevating any website on Search engines, but the procedures are changed. It is quite challenging to rank any website without quality backlinks. Strategies and ideas are never limited. We have some more tips on techniques of link building in SEO. Hence, we cannot ignore link building practices. 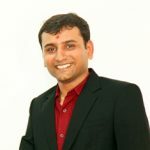 Presenting some effective link building techniques that you can use in your business. We hope these techniques will serve your goal. It may sound a bit old dated strategy but believe me, it still works. Send some unique articles regarding your business to higher authority article websites. Article submission websites have banned posting same articles on all websites. If any article directory allows linking, use only one anchor tag to link it with the website. Also use the anchor text backlinks in a natural way. If you feel like linking to the website, then only link it. Do not go too far to build links from articles. Sometimes articles without links give you more result. If you are selling some kind of goods, your customers would like to check them thoroughly. Product review will ensure your customers about what products will do for them. It can be done by the manufacturer itself or you can hire an advertising agency. Nowadays, vlogging is popular, so you can find some professional vloggers to do some product testing for you. Send them your items and they will make a video explaining the item to their audience. You will definitely get good backlinks from their videos or blogs. Don’t get me wrong here! I am not talking about serious job interviews. This is an excellent way to bring in more visitors while they see people talking about you. There are so many blogs and websites who conduct interviews of small to big entrepreneur online. When you do interviews you will always get a backlink as your contact details are shared with the public. Now the question is how to let interviewers know that you are ready to be interviewed? Create a “interview me” page on your website so that people know that you are available for interview. Also if you are already following some bloggers, you can directly ask them for an interview. Don’t expect an instant response from them, but If you manage to do at least one interview per month, you will get strong backlinks, hence visibility will increase. This is the oldest technique which had lost its meaning a few years back. 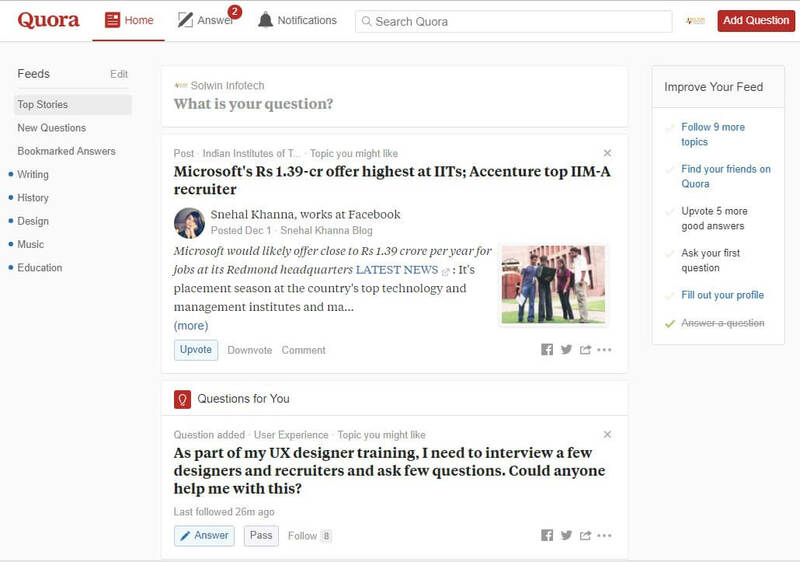 Recently, Quora.com became a popular question answer website. There is no harm in putting link even if they are “nofollow” because the customer will follow your answer and reach the website. That will look natural to the search engines and will create a mix link-building profile. Search for niche category and look for questions that relate to your product and services. I would suggest not to put links in every answer. Try to look natural while answering. As per my experience on Quora, I have gained much visitors through one of my answers. If you are lucky enough to get the most viewed trophy, you will get good visibility. It’s no surprise that visuals speak more than text. Infographics are quite viral on social media these days. It is one of the hottest ways to bring one-way back-link to your website. Add your company logo and contact details in info-graphic so that it’s automatically tied to you. Do not miss to add your website address on it. It will help you build your brand image. Submit it on the available social networking websites or send it out in newsletters. If it is interesting enough, people will share it on their social media profiles. You might have seen that nowadays video marketing is a powerful way to show your product. These days, people don’t have time to read a long text. 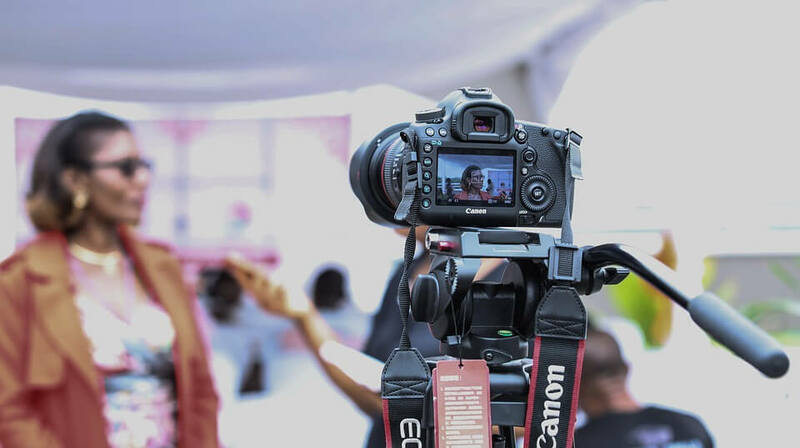 A video can easily bring your message forward to the audience. YouTube is a top ranking entertaining website. All the video websites have some content area that explains about the video in brief. You can mention your website links in the description. It is the strongest backlink considered. A video can be promotional, funny or educational. A viral video will bring you lots of traffic. Podcast is the direct way to create quality backlinks. The best way to start podcasting is to podcast on other’s podcasting channel. Also, you should include the transcript. Search engines will not be able to hear what is there in audio. In the transcript, you can add your website links and other details. Hence, you can achieve backlink. If you are not willing to write full transcript then at least summarize the concept and mention it. Podcasting is here around for a while but not on the peak, so it’s a good opportunity to know this channel as well. Podcasting is one too many relationship builders and you never know when you develop a connection with anyone. 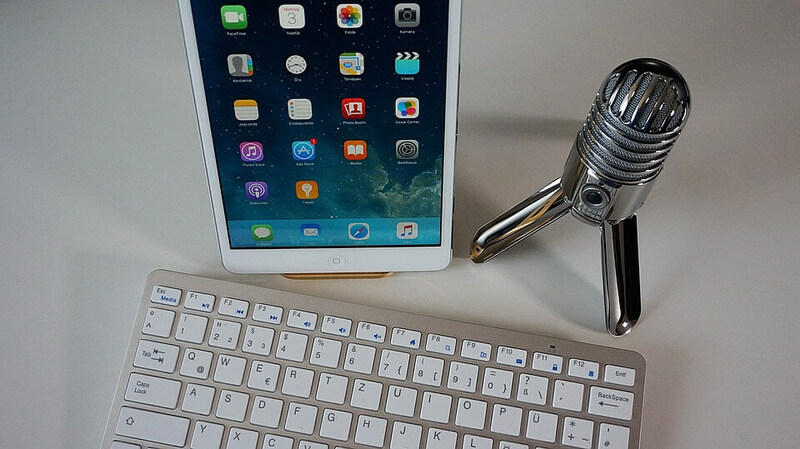 Once you are comfortable with regular podcasting, you can set up your own podcasts. Everyone loves free things! There are some amazing free tools online which we use in daily life. Imagine how many different free tools you can use for link building and SEO. Create something for your community and gain lots of traffic along with back-links. Like suppose, you are giving free calculator, which is used by average all individuals. Free memo, calendars are small tools which can give you good back-links. Offer free pdf or free e-book providing some tips and tricks regarding your product. This is definitely going to work. Pinterest has grown to millions of users since last few years. I admit that I am addicted to pinterest since I joined it. Pinterest is a great way to share information in picture format. Create a pinterest account and your profile itself will give a backlink to your website. Follow more people relevant to your business and more people will follow you. At present, there are already millions of boards with lots of pins. People will re-pin your pin if it will fascinate them. It has been studied that 7 out of 10 people have made a purchase after they are redirected to the website from Pinterest. Initially, Pinterest was only for personal individual accounts, now it has started offering Pinterest business accounts. And overall it is free. Why not leverage this channel’s profit. Pinterest is perfectly able to fetch good traffic. Reddit is an extraordinarily valuable as it is quite an old website with lots of links. Reddit is an amazing source for potential clients. You just need to make sure that you choose the right subreddit and post your content. Initially, the Reddit links are “nofollow” once you get some upvotes those links become “dofollow”. According to some third party statistics, Reddit has daily views in crore. It drives traffic more than any other modern social media sites. Submit your content carefully by choosing perfect subreddit category. Do not just keep posting your content with a backlink. Upvote other posts, comment and engage with them. Help people with their problems and be genuine with your answers. Avoid unnecessary answering, multiple repost, and other spam. Getting Wikipedia backlink is the powerful way to send authorization to your website. It is gold mine of information since ages. Wikipedia is the highest authorized information website. Therefore it is worth to develop a backlink from that website. Wikipedia authorizes anyone to edit information or add information to any page. 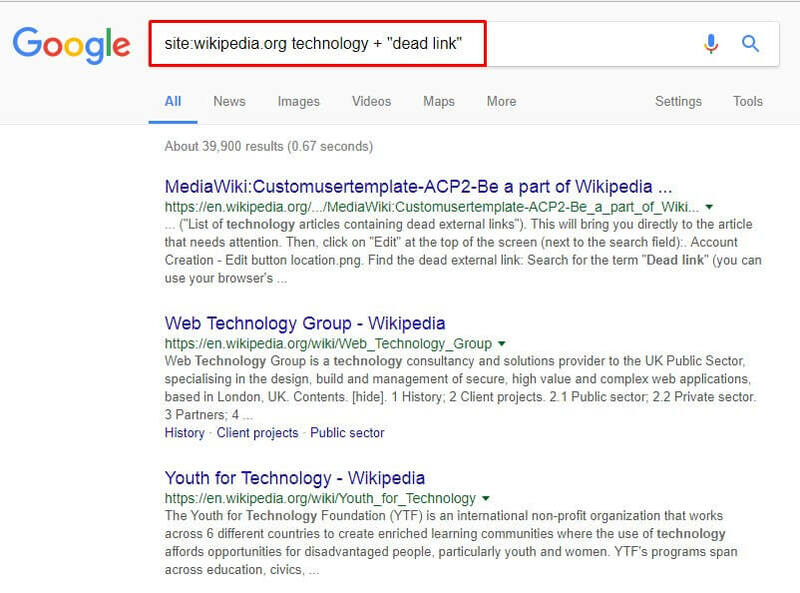 You will find lot of dead links in Wikipedia. You can add your own link wherever suitable. Remember, Wikipedia links are “nofollow” But “nofollow” links from such high-quality websites do matter with our SEO. It will help gain traffic on your website. Do not start off with backlinking your own site. Do some non-promotional and genuine edit to make your profile good. Wikipedia doesn’t allow spam, they will ban you if you are spamming them. Respect the community, stay patient and you will get good backlinks. Once you edit any article or information, your changes will be reviewed by Wikipedia team, if they find it legit, you are lucky! Look for the topics that are still not present on Wikipedia. You can write articles along with reference links and submit to Wikipedia. 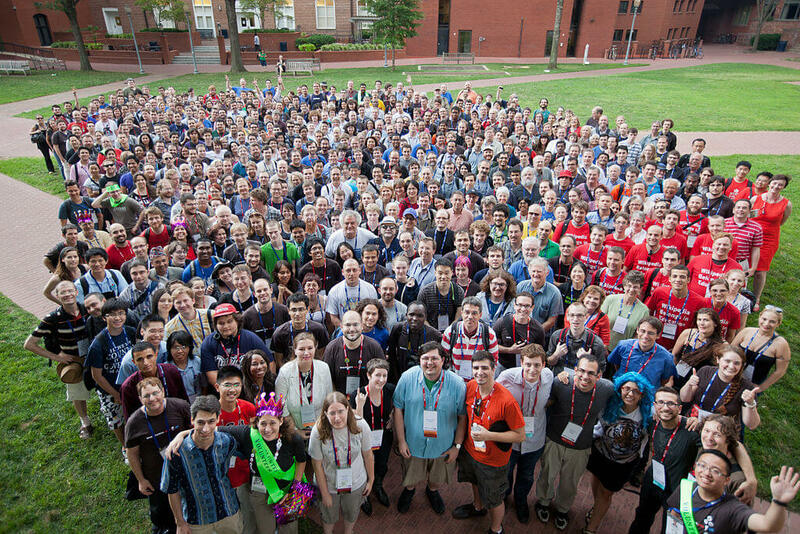 Once you have written an article and it is published, you can easily become a part of the Wikipedia community. Google released news in 2013 that over optimized press release may harm search engine rankings. At Solwin Infotech, we are still using press releases for SEO and link building purpose. As per our experience, we suggest using press release as a part of brand awareness more than just link building. Don’t try to put anchor tag forcefully. Leave your contact details involving your website address and people will reach you through that. Search engines love natural content and demote content that is solely made for SEO purpose. If you don’t have any news to share, don’t write it. Share valuable news which will provide more of indirect value rather than direct value. In short, words, write a press release for humans not for search engines. Use long tail keywords in proper proportion and try to avoid a number of anchor tags. As less is more, do not go too far for hyperlinks. If your business is involved in some service providing, you might be making presentations for webinars or meetups. 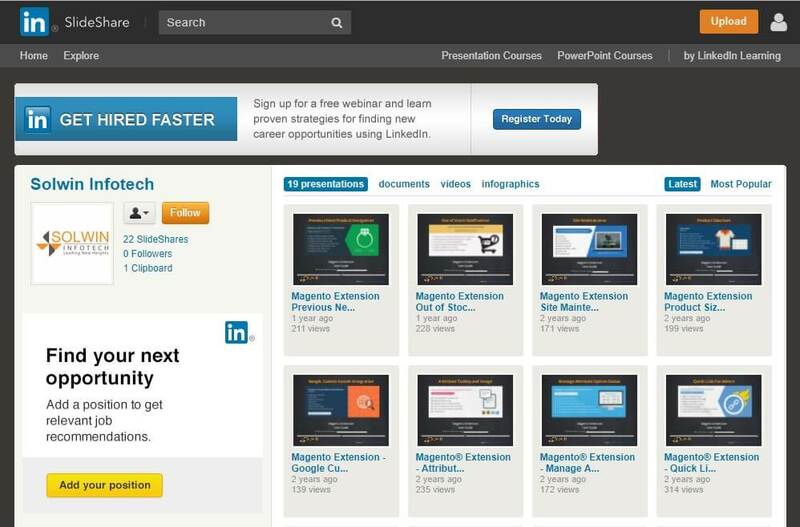 You all might be aware of slideshare.net, it is owned by LinkedIn and it is free for all. It is a channel where you can share your information through document style. Another gold mine content websites like Quora, Wikipedia, and this website is highly valuable in terms of content. You can register and make a profile to submit your content. One of the best things about Slideshare is, it allows embedding slide decks on your website. You can mention your links in profile and description of the slideshare content. Just like we told you about building broken links in Wikipedia, you can do same on slideshare. Look for the large websites and find out the broken links to submit your links. If you really want to try this platform for SEO, we are expert at this. It will take some time but you will have a unique reach to your audience. If you want advanced marketing benefits, use this trick. You might want to show your visitors, how your products work or how they can buy. Write down a clean help manual that will guide customers and you can gain links towards your website pages. Put some product page links or category links. A customer guide can be a page on a website, which will help in internal linking. Also, you can give it as a pdf or e-book to download. You can also share it on social media platforms to gain links. This might look weird to you but this idea works. 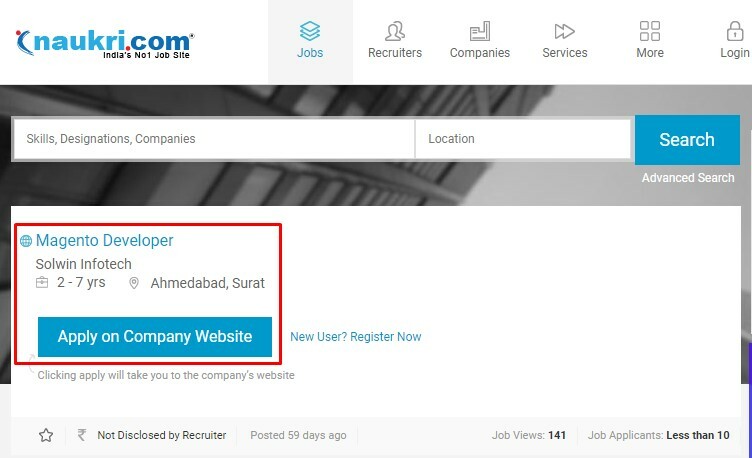 Our team started making profiles on various websites like Naukri.com, indeed.co.in and various other job portals. We made a profile with company details along with contact details and we got few decent backlinks from that. You should always keep an eye on your competitors. Check what piece of content they are ranking well. Then you should make better pieces than them. All these strategies are demanding one thing in common, which is unique content. Deliver great content to Google, no matter in whatever format. If it hits audiences, you will start gaining backlinks in long term. Remember, it is not compulsory to send to your customers. Do you have a PR team? 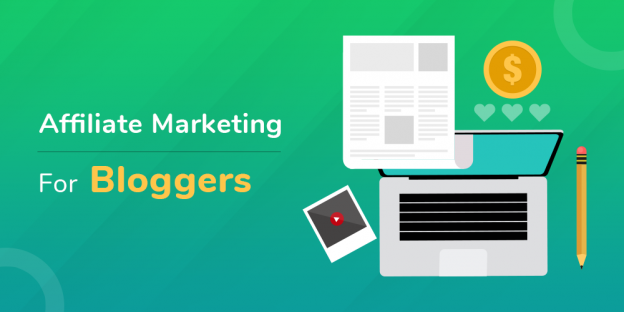 Do you reach out to major bloggers/journalist that can promote your content? I can’t emphasize enough the value of SEO service. At Solwin infotech, we have been serving various website owners for SEO services. Link building is tricky and we know well about it. You can reach us to hire our SEO experts. Extremely helpful!!! Thanks for sharing these link building techniques. I had no idea with some of the options which are mentioned here and have been marketing with other old ways from last 2-3 years. Now, I am definitely going to start implementing these ways to get great results for my website. Wonderful article, well detailed and amusing to read. all these 18 Uncommon Link Building Techniques Are Really Useful For Successful SEO In 2018. All these techniques and videos are so helpful for me. Thanks for sharing this informative article. Keep posting so nice and useful stuff! Very good website you have here but I was curious if you knew of any community forums that cover the same topics talked about here? I’d really like to be a part of group where I can get comments from other knowledgeable individuals that share the same interest. If you have any recommendations, please let me know.Many thanks! The blog covers 18 unique link building techniques for successful SEO in the current times. The Google rankings are improved with quality of the links and content on the website. The ROI and credibility of ecommerce stores depend on the backlinks. Backlinks become the backbone of the ecommerce success. To yield more results greater efforts have to put in building a strong framework for link building. 	Through give aways like charity, sponsorships, and discounts. People love free stuffs and this trigger greater audience to the ecommerce platform. 	Other interesting way is user generated content to improve SEO and bring greater links. Since it is less commercial people prefer to link to it rather than content created by business. Thanks for sharing the article, I recommend the users to do blogs as they not only provide a landing page but also act as a gateway for outbound and inbound links. Extremely helpful!!! Thanks for sharing these link building techniques. I’ve recently started a blog, the information you provide on this site has helped me tremendously. Thanks for all of your time & work. “The more sand that has escaped from the hourglass of our life, the clearer we should see through it.” by Jean Paul. Very nice article, thanks for sharing with us. I was studying some of your articles on this site and I conceive this internet site is really instructive! Keep on putting up. Very creative team. These guys know exactly for what client is looking for..I loved the recent work from you people. A big Thumbs up!!! This is so informative and interesting post about uncommon link building techniques. Thanks for posting with us. yay, google is my world beater aided me to find this outstanding site! This website online is known as a walk-through for the entire information you wished about this and didn’t know who to ask. Glimpse right here, and you’ll definitely discover it. It’s a good list to get started as a newbie. Thanks very much for this informative post keep up the good work. Please take a look at how I rank my videos. Normally I do not learn post on blogs, however, I wish to say that this write-up very forced me to take a look at and do so! Your writing style has been amazed me. Thanks, a quite great article. First of all, I’d like to appreciate you for the blog’s clean design. You just nailed it with the advanced tips of link building that helps newbie bloggers like us. Please keep writing such informative articles. Link building helps an increasing rank of our websites. But we must build link in a proper way. The more high quality links you have going to your site, the higher you will appear in search results with ALL the search engines. Link building is one of the great ways to promote your site on local and global platform. Please keep us informed like this. Thanks for sharing. great post very great information very nice article your content is very good, Thanks for sharing. I’m relatively sure I’ll be told a lot of new stuff right here! Best of luck for the following! I am usually to blogging we really appreciate your website content continuously. The article has truly piques my interest. I will bookmark your web blog and keep checking for new info. Thanks for sharing this information. I have shared this link with others keep posting such information..